The 1852 loft building, one of the oldest in the area, was in an advanced state of abandonment, in the engineer's words,"four walls at the end of life." The historical significance of the old structure guided the design process, whose strategy has been developed with the goal of preserving all the surviving original elements of the building, differentiating the new with contemporary systems and languages, the tension giving a second life to the building's soul. This project is very much representative of our studio's work in the historic districts. As in the word TRA, the design finds a balanced equilibrium between preservation, regulations and practical constraints. The 150 foot long lot is very unique. The zoning imposed the separation of the lot into two, with all of the bulk of the addition to be located on the Broadway side, making the penthouse structure extremely visible. TRA was instrumental in navigating the restrictive zoning requirements in order to build the 3,800 SF, two-storey addition. Responding to the difficult restrictions imposed by zoning, the strategy for the proposed 3,800 SF rooftop addition, refers to a particular condition seen only on lower Broadway, where the top floors often sit above a first cornice, a building on top of a building. The proposed upper “building” maintains a balance similar to the volumes that animate the nearby roof-scapes. The chamfered sky-lit roof morph the “upper building” into a large skylight, offering a gentle transition to the old historic loft structure on the south. The design was unanimously approved after one Public Hearing session by LPC, with minimal modifications. This is one of the many multi-stories visible additions in historic districts. The architectural elements and infill of the first floor have been previously completely removed. The 372 Broadway proposed storefront shows the reintroduction of the missing columns, interrupted by the retail display window. This recalls the projecting storefront seen often in the area and also refers to Gio Ponti’s furnished windows, where the pattern of the interior walls is extended extending on the fourth wall. The clarity of the storefront design brands not only the multi-level retail, but also the development project. 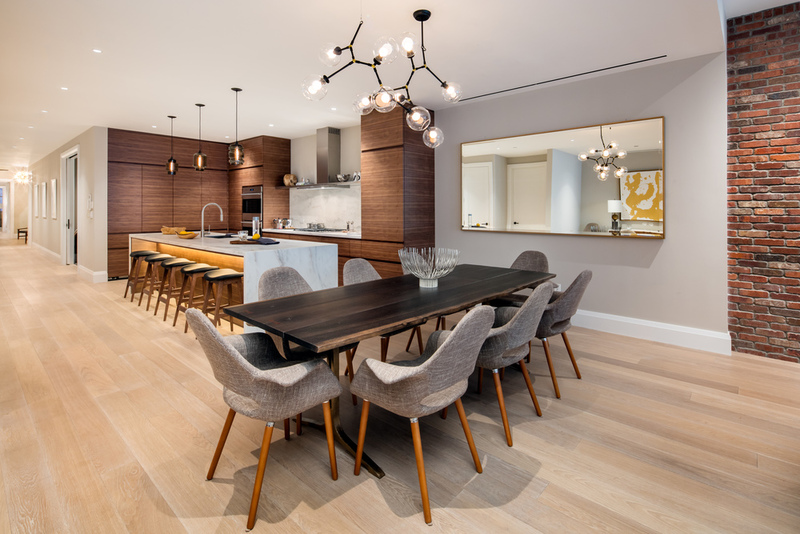 On Cortlandt, the design takes full advantage of the multiple underground cellars and the difference of level between Broadway and Cortlandt, turning what was an hidden space into an expansive lobby. TRA's numerous downtown interventions in the historic districts include new urban infill, additions, adaptive reuse and restorations of historic structures. The sum rises at the urban scale becoming integral to the improvement of the neighborhood. 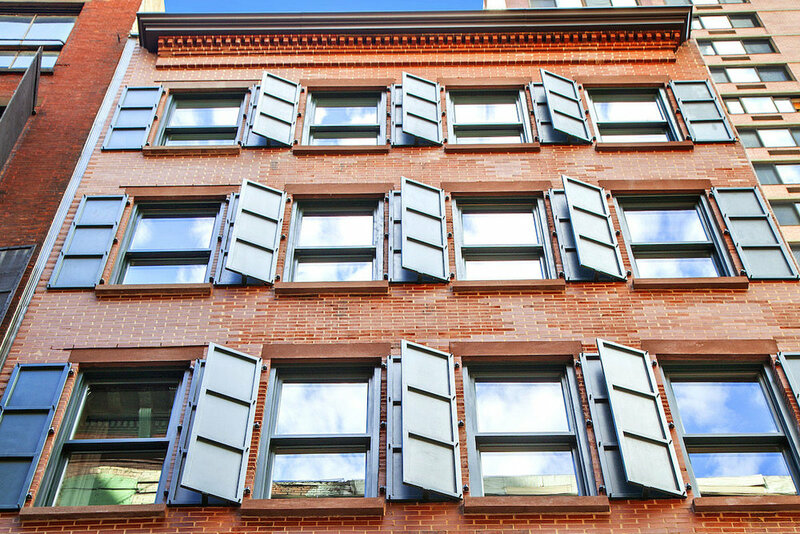 In Tribeca, TRA's storefront reconstructions contributed to the transformation of the gritty Walker Street into a shopping area, the restoration and enlargement of three structures along Lispenard returned to the city a complete block of historical loft buildings that had been forgotten. The buildings were a precedent at Landmarks for allowing larger additions. 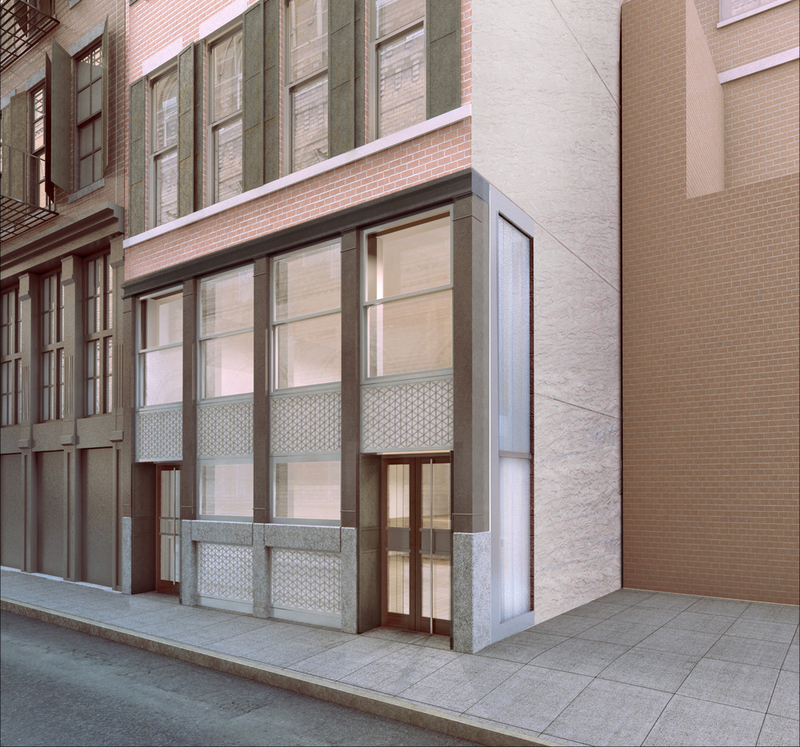 The phased renovation of the New York Academy of Art, is turning the last bleak block in Tribeca into a lively arts destination. Nearby, the ongoing conversion of 372 Broadway is a catalyst for the development of the commercial district below Canal.